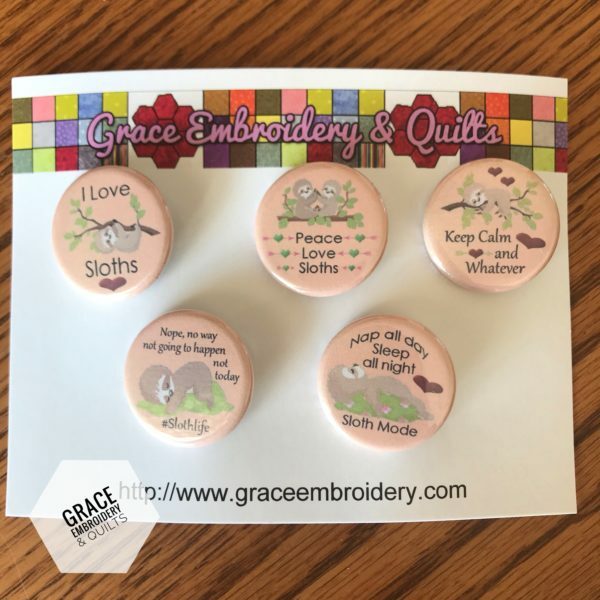 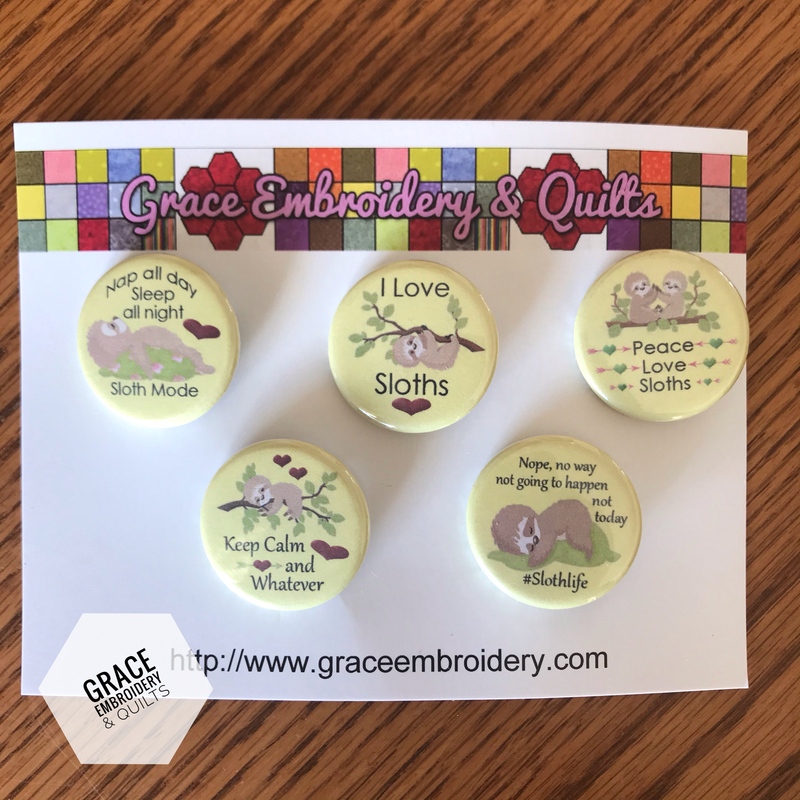 Set of 5 cute pin-back buttons starring the sloth! 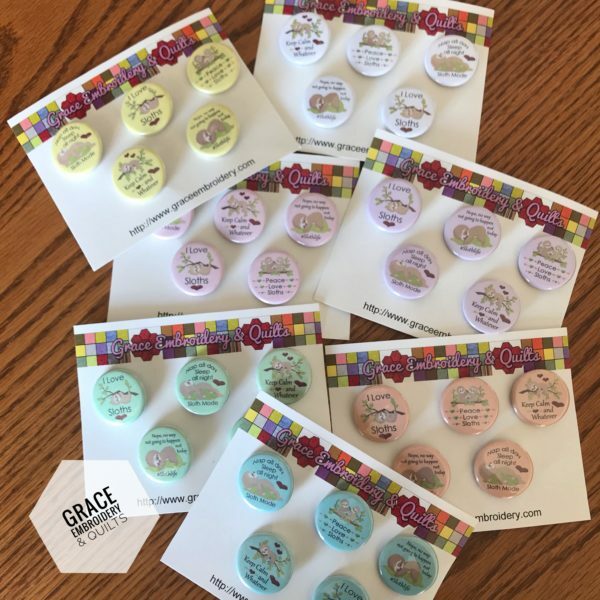 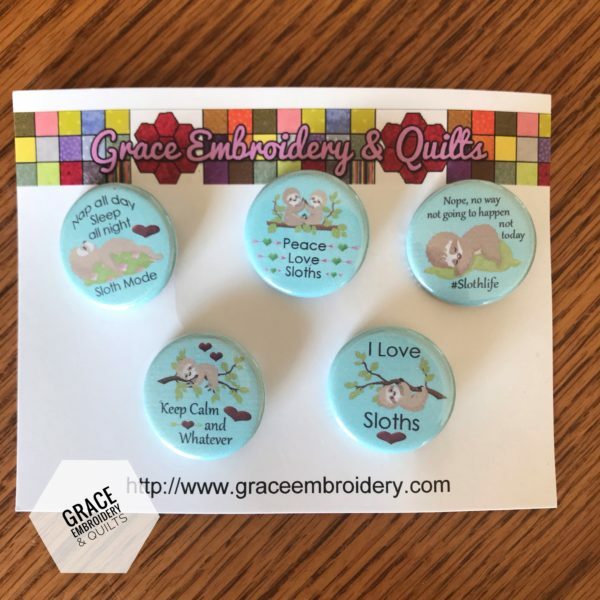 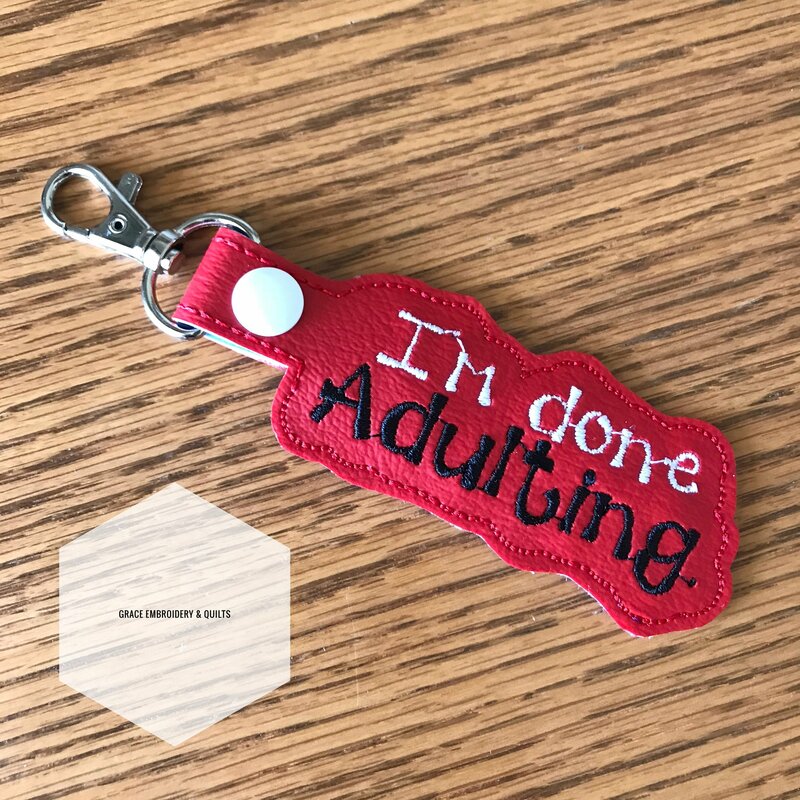 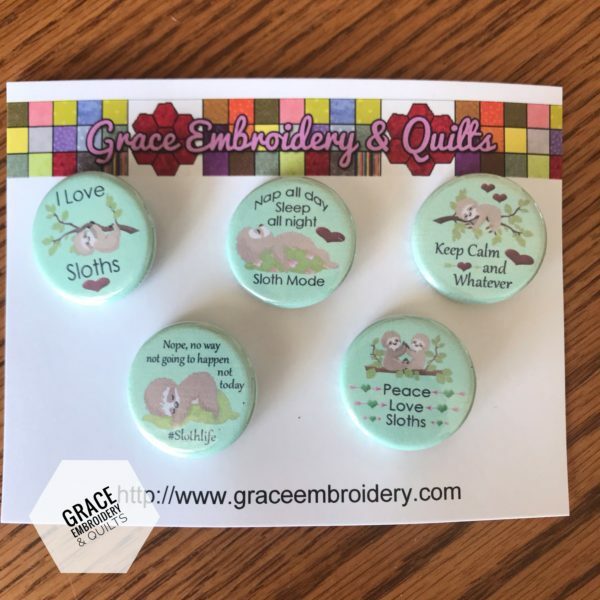 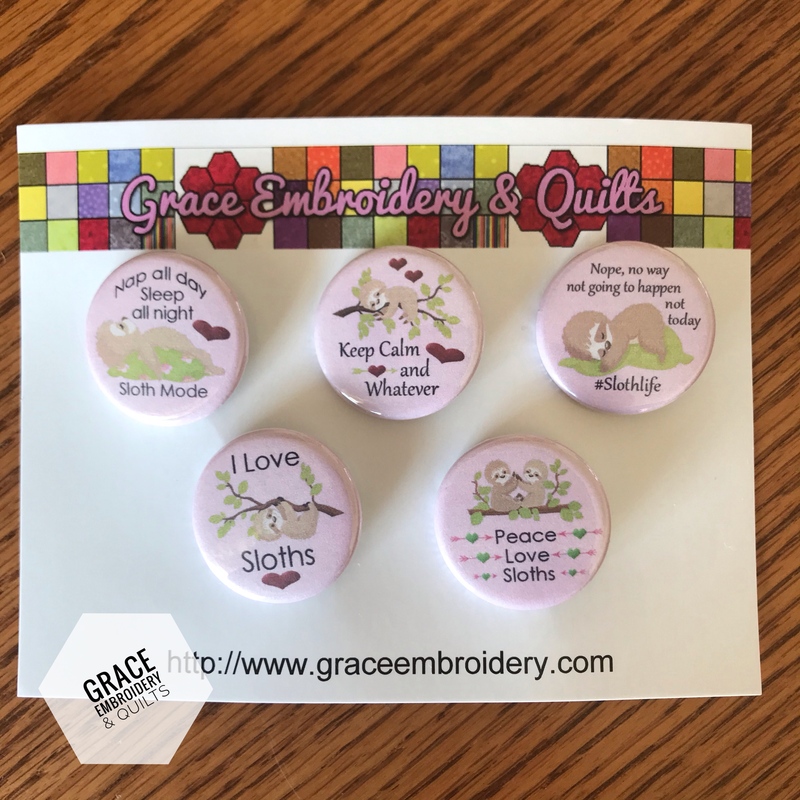 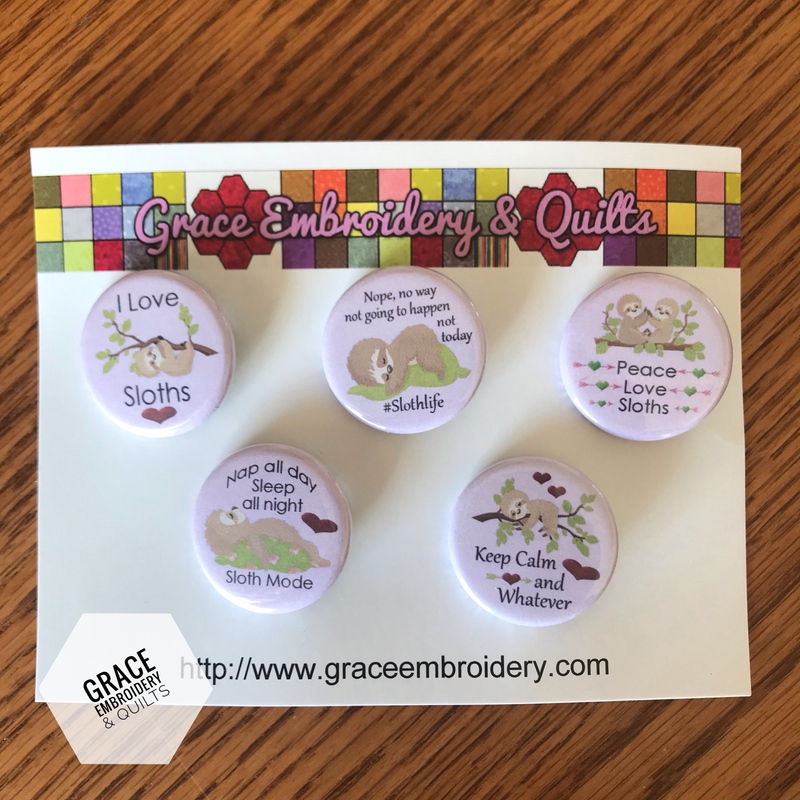 Each button has a different saying/quote and is perfect for any sloth lover. 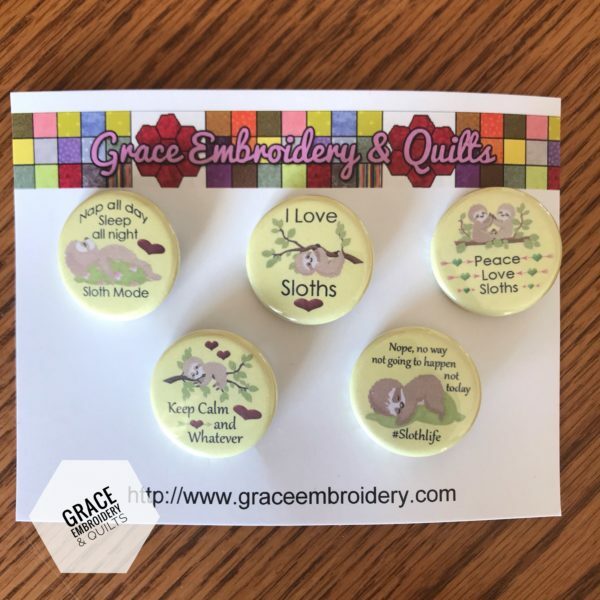 Pin to hats, purses, backpacks, anywhere you want to declare your love of the sloth. 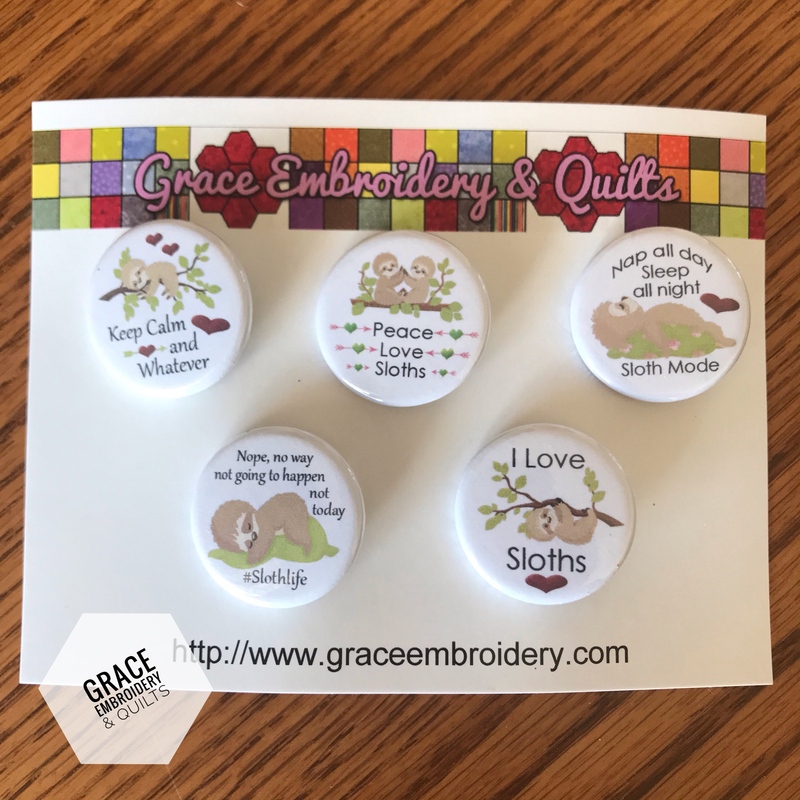 Buttons come attached to a postcard and in a bag ready for gift giving. 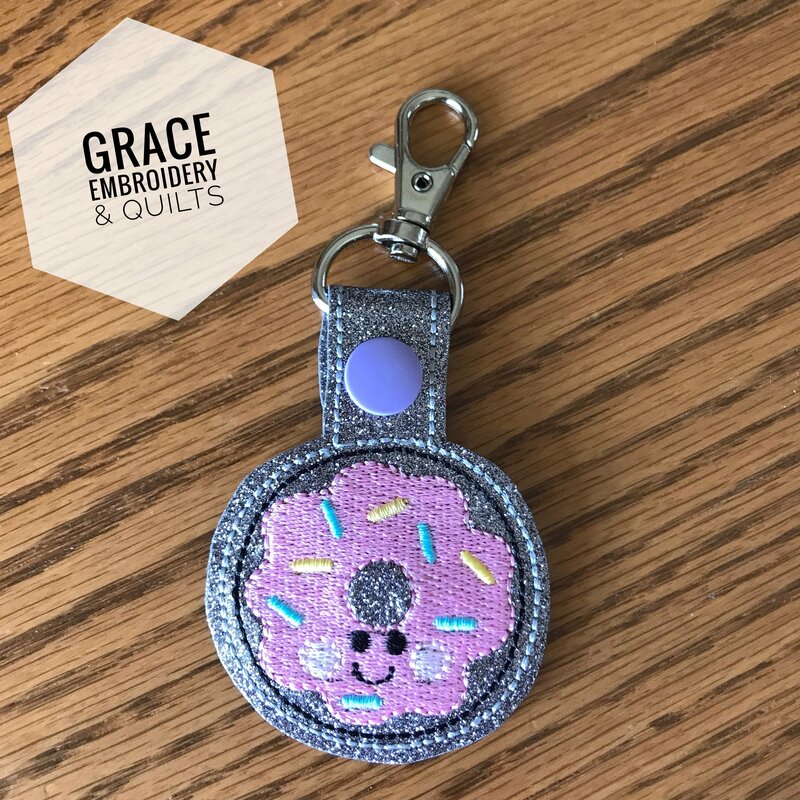 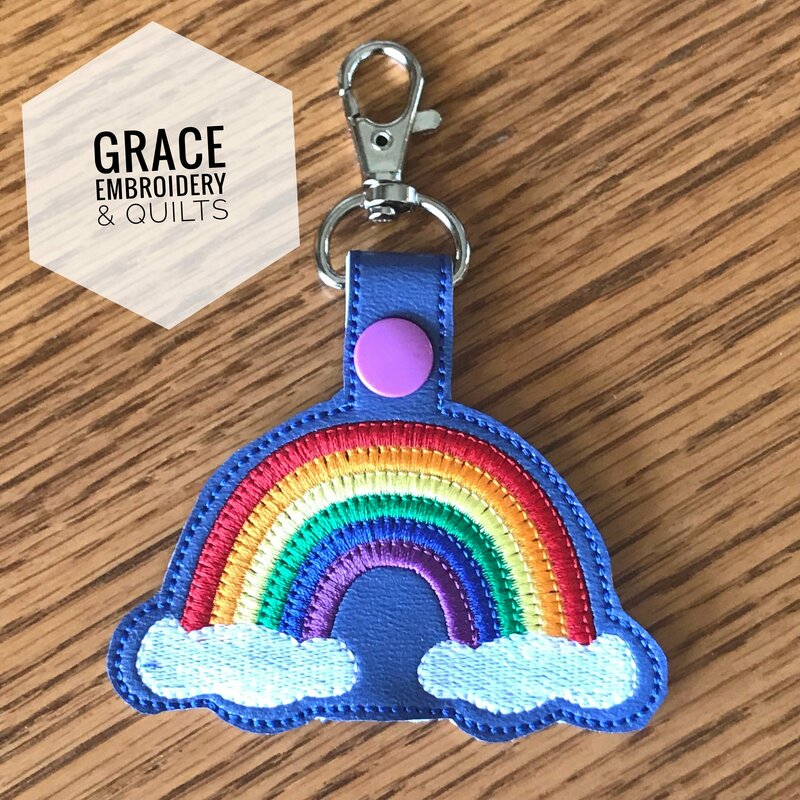 Buttons are 1.25″ in diameter.